Several pieces designed by Sullivan Higdon & Sink (Signal Theory) recently won prestigious HOW International Design Competition, PRINT Regional Design Competition and HOW Logo Design awards. Shatto Milkmen Trading Cards, which were produced for the Shatto Milk Company and designed to transport customers back to an idyllic era of vintage baseball and fresh milk delivered straight from the local family farm. Kansas City Design Week 2018 branding, which leaned on abstract interpretations of beloved Kansas City landmarks to create an inclusive and approachable visual language that is as distinct and iconic as the landmarks themselves. Both of these pieces will be featured online and in The Best of Design, an all-new HOW + Print hardcover book that will showcase “the best from today’s leading art directors, studios and creative professionals.” The book is scheduled for a summer 2019 release. Another Signal Theory piece created for Shatto Milk was recognized as part of the PRINT Regional Design Annual competition and will also be included in The Best of Design book. Shatto Milk Company Flavorizers packaging design, a product that encourages consumers to mix their favorite flavors into milk. HOW also announced that the agency has been recognized as a Top 20 winner by the Logo Design Awards in their Identity Applications category. Tribe Street Kitchen’s logo, which captures the spirit of the restaurant’s fresh and tasty cuisine, featured in iconic street food flavors from around the world. 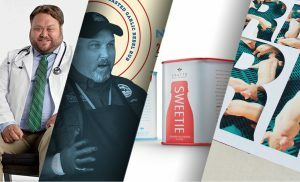 An Agency of the Year for both Ad Age and the Business Marketing Association, Signal Theory exists to inspire brands and people to be remarkable. With offices in Kansas City and Wichita, the agency is focused on animal health and the “farm-to-fork” food value supply chain, including agriculture, food production and processing, grocery products and restaurants. Signal Theory clients include SONIC®, America’s Drive-In, Tribe Street Kitchen, AMC Theatres, Bayer Animal Health, Merck Animal Health, Cargill, Lowe’s Home Improvement, Procter & Gamble, Seaboard Foods and Shatto Milk Company, among others. 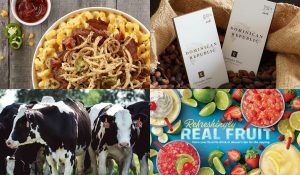 The agency’s Signal Theory FoodThink blog researches and reports on consumer attitudes and trends regarding food and food production.